Once the mover has delivered all your goods, the first step before you relax and enjoy your new home, is to unpack and check all your items to make sure nothing was damaged during the move, particularly electronics, major appliances and fragile objects. 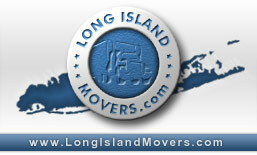 Movers provide a booklet of your obligations and rights are which you should have gone over prior to moving. These documents also include the estimate and a written policy that sometimes has a limited time to make a claim after the move, even if the pamphlet mentions 60 to 120 days, movers are allowed to modify those terms so you must ensure that everything is working, otherwise proceed immediately with your claim. Once you have hired the service, put all receipts and documents provided by the mover in a single file, including the Bill of Lading and the payment receipt. This file must be kept it in a safe, secure place, never shipped with your goods. This documentation will help you out when placing your claim and filling you taxes with the IRS. At your new home and before unpacking, verify that all the household services are up and running, then begin unpacking the electronics and check that they are working fine. As soon as you unpack an item, make sure to take it to its definite place in the house. Take time to unpack everything verifying that nothing is broken, damaged or missing. If there is no need to submit a claim to the mover, take a break before you continue. Many people believe that after the move, they have to unpack, work a little bit around the house re-organizing their stuff and everything has been done. That is not true, during the following days and probably for several weeks; you and your family must start an integration process. You must get use to the new area and the best way is to begin walking around your new neighborhood. Introduce yourself to your neighbors and to the entire area, however, not after a long day at work. Take a break, relax and then go outside and feel the sensations floating through the air, doing nothing else except appreciating your new environment. Take a map along with your new address written on it. You may smile at this statement and think it is unnecessary, however, if you have moved to an area that you do not know well, you may find yourself lost if you venture off too far. Other reasons that you could become lost are that the road signs may not be marked or the terrain does not have any significant markings. A map, obviously, may be useful to make ready prior to your exploring your new surroundings. In addition, do not limit your research to finding roads, but also the location of the post office, the grocery store and so on. Make sure to find new health professionals, including a dentist, doctor and vet if you have pets at home. If you move to another state, get a new driver's license and plates for your vehicles, as well as register to vote. Buy subscription to the community magazine or the local newspaper to stay up-to-date on what is happening in your neighborhood, besides receiving offers at local restaurants, service providers and retail shops. Visiting your local library and getting a card for you and one for each member of your family. Do not forget to pay a visit to the church and the community center. All of hose places are the "heart" of your neighborhood and it is usually easy to find bulletin boards, local maps, travel guides and helpful people to ask whatever you want to know about your new community. The most important thing to remember is register your children for school as soon as you arrive, so they can establish a regular routine. The sooner you do it, the easier it will be for them settle in.